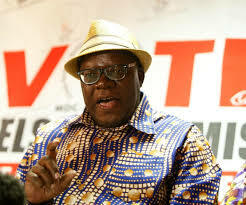 A journalist with a local radio station yesterday told a Harare magistrate that MDC-Alliance principal Tendai Biti unlawfully announced false results for the 2018 presidential election at a press conference at the opposition party’s headquarters in Harare. Perfect Hlongwane, a journalist with ZiFM Stereo and a State witness in a case in which Biti is charged with violating the Electoral Act and inciting violence, told the court that he declared Nelson Chamisa winner of the polls. Hlongwane said he attended the press conference during which Biti made the announcement. The law only empowers the Zimbabwe Electoral Commission (ZEC)to announce election results. Hlongwane said during the press briefing, Biti claimed the MDC Alliance had collated all the results and its presidential candidate, Chamisa, had won. “During the press conference, I asked Biti a question on what they were going to do as a party if ZEC was to announce results contrary to what they had gathered and he said that was very much unlikely,” said Hlongwane. Biti’s lawyer, Ms Beatrice Mtetwa, notified the court she intended to make an application for discharge at the close of the State case on Monday next week.